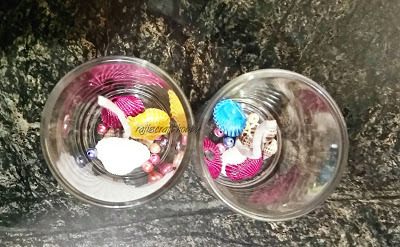 Yet another wonderful and creative project courtesy of our good friend and fellow crafter at Raji's Craft Hobby. 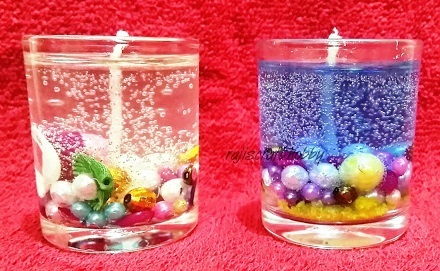 Gel candles are very popular, mainly because they burn longer. 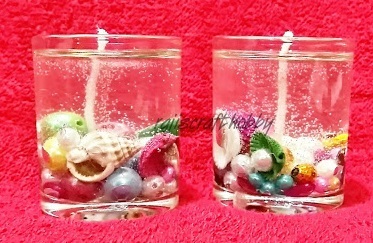 And like these lovely ocean gel candles reveal, their transparant nature allows you to get very creative with the design! The only limit to what you can do is your imagination. 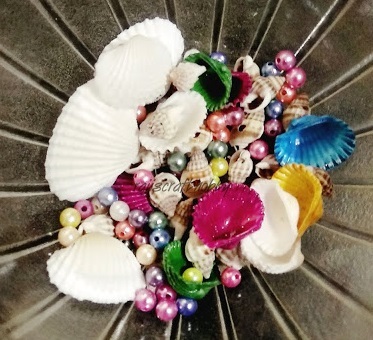 Weddings, holidays, special events... whatever "decorations" you use will convey the look or theme you want. Did we mention they're oh so easy to make? So have some fun with it! 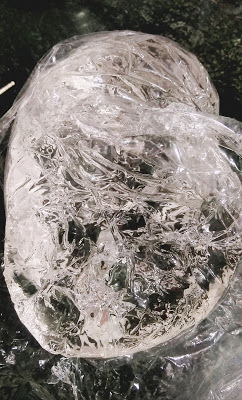 The gel wax Raji uses looks a lot like jelly. 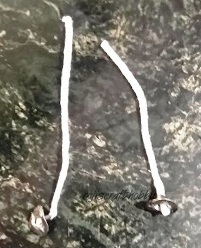 Melt small pieces of the wax in a double boiler. 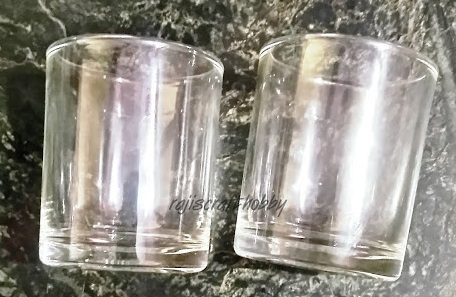 If you don't have one, you can use two metal containers, one smaller than the other. 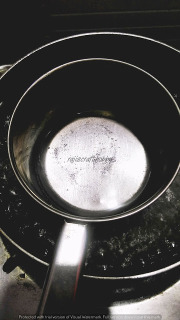 Pour water in the larger pan and put the pieces of wax in the smaller container (which sits in the water). Keep the burner temperature low to prevent the wax from burning. Now that the wax is melting, you can get your other materials ready. 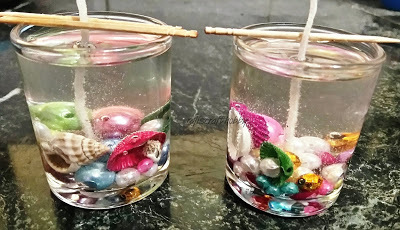 The jars, the wicks, and whatever items you plan to "decorate" your candles with. 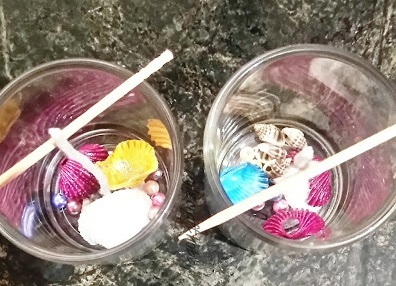 Raji used artificial beads, pearls, and seashells to reflect the ocean theme. 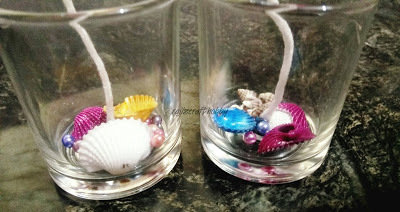 Start by sticking the candle wicks to the bottom of the jars. 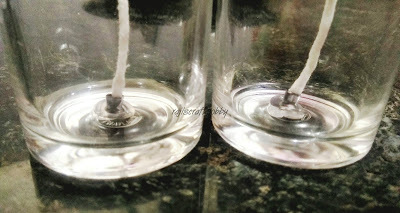 The best way to do this is to dip the bottom of the wick in melted wax and then hold it in place until the wax hardens. Next you can add whatever decorative items you've chosen. 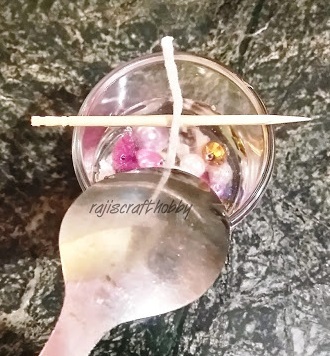 Place toothpicks on top of the jars to hold the wicks in place while you're pouring the wax. Pouring melted wax directly into the jars can cause an overabundance of bubbles. To prevent this, position a metal spoon just inside the rim of the jar and gentle pour the wax over it. This won't eliminate all the bubbles, but it definitely helps minimize them. 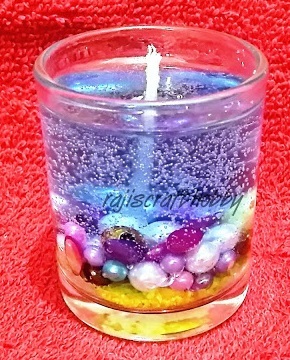 OPTIONS: Add fragrance to create scented candles or wax based colors (like this one where blue wax color was used to create an ocean feel). This can be added as soon as you take the wax off the burner. It's that easy and the result is fantastic!